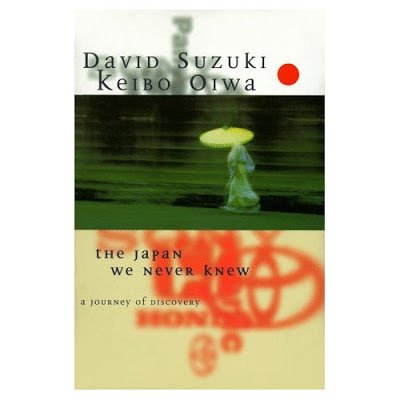 Published in 1996, The Japan We Never Knew: A Journey of Discovery is the collaborative work of David Suzuki, a third-generation Japanese-Canadian biologist, professor, writer and broadcaster who is also the founder of an internationally renowned environmental organization, and Keibo Oiwa an anthropologist, writer and translator who was raised in Japan and now teaches International Studies at Meiji Gakuin University in Yokohama. They journeyed in search of a world that exists contrary to the prevailing images of Japan as the economic powerhouse and the environmental transgressor. As they travelled, they met and interviewed individuals with fascinating stories to tell about the work they are doing for justice, equality, awareness and reparation for past wrongs. This is a book of hope for we meet some truly amazing people who are doing some truly amazing things. Artists and farmers and activists and mayors and children and protesters are all featured as well as many, many others. I enjoyed how the stories were told most poignantly in their own words, and Suzuki and Oiwa maintain the integrity of their interview subject's words by quoting them directly and extensively. I would wholeheartedly recommend this book to anyone interested in looking below the surface of the stereotypes and exploring another side to the predominant image of Japan. I learned many things I did not know about Japan, even after visiting the country. I am fascinated by the history of Okinawa, a region about which I remain woefully ignorant, and the affects of the Second World War on the people and landscape. Beyond the stated purpose of the book there is an underlying theme of the search for individual identity. As a sansei (third-generation émigré) David Suzuki struggled with growing up Canadian with a Japanese face, and feeling disconnected with the culture of Japan although physically he fit in. Born in 1936, he was subject to the loss of family property and internment of Japanese-Canadians during the war. Keibo Oiwa's life was also dramatically altered by the war, since his father was unable to return, post-war, to his native Korea and so adopted his Japanese identity, not even telling Keibo, who believed himself to be Japanese, of his Korean heritage. Both of the authors lost their fathers soon before the publication of this book and there is a poignancy to the epilogue I found sincerely touching. This sounds fascinating & is going on my tbr list. I loved Suzuki's book Tree and have been meaning to see if he had written more books. Yes, I think you will really enjoy this book, Eva, based on your interest in human rights and exploring different cultures. I learned a great deal about Japan from this book. I'd love to hear what you think if you do read it! 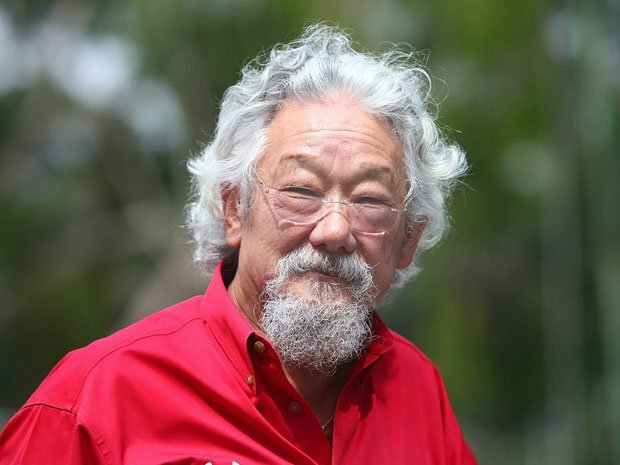 Are you familiar with David Suzuki's broadcast work? 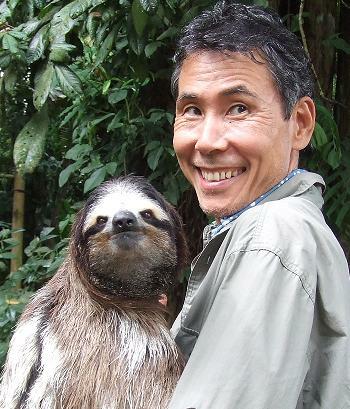 He's been the host of "The Nature of Things" since the 1970s!